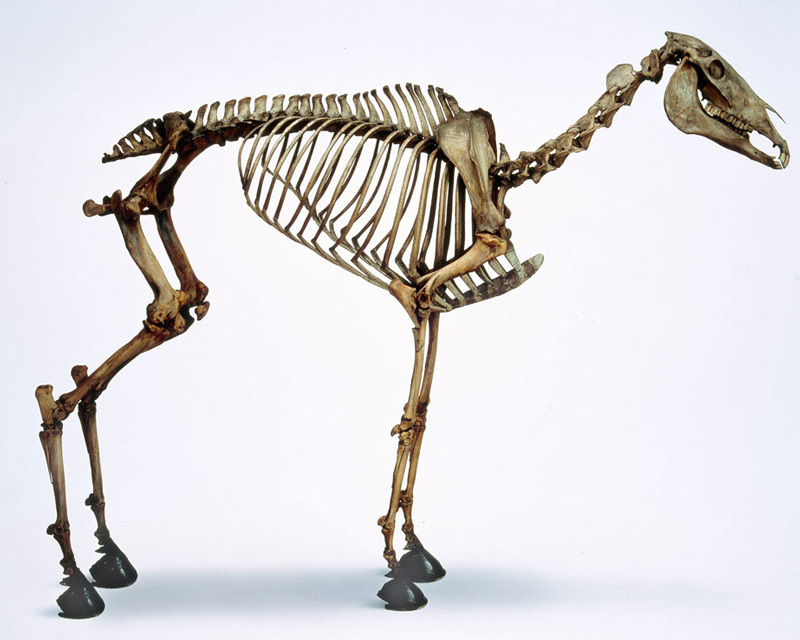 We sent Napoleon's horse Marengo to the Natural History Museum to prepare him for display in Battle gallery. They were tasked with moving his skeleton from its original mount and repositioning him. Marengo was the French Emperor Napoleon Boneparte's horse. He was an Arab, small and grey, and named after the Emperor's victory at the Battle of Marengo in Italy in 1800. Napoleon is said to have ridden him through many of his campaigns between 1800 and 1815. In 1815 the Duke of Wellington defeated Napoleon at the Battle of Waterloo. Marengo was captured on the battlefield and taken to England. After his death, Marengo's skeleton was displayed at the Royal United Services Institute, established by Wellington in 1831. It moved to the National Army Museum in the 1960s. After such a long time on display Marengo needed some conservation work. His bones had resettled themselves, his head had begun to droop, and he no longer stood like a natural horse would. What's more, he had cracks in his sternum and ribs, and his skeleton was very dirty. With such an old and precious item, the decision to undertake conservation work was not taken lightly. We called in experts from the Natural History Museum. Their task was to move Marengo from his original mount and reposition him. After a thorough inspection, the conservators decided that Marengo still had some fighting strength and his bones were deemed strong enough to cope with the work. But the team still faced some challenging tasks. Not least of these was the removal of thick metal bars from the centre of his legs - the result of preservation work completed at least 50 years previously. 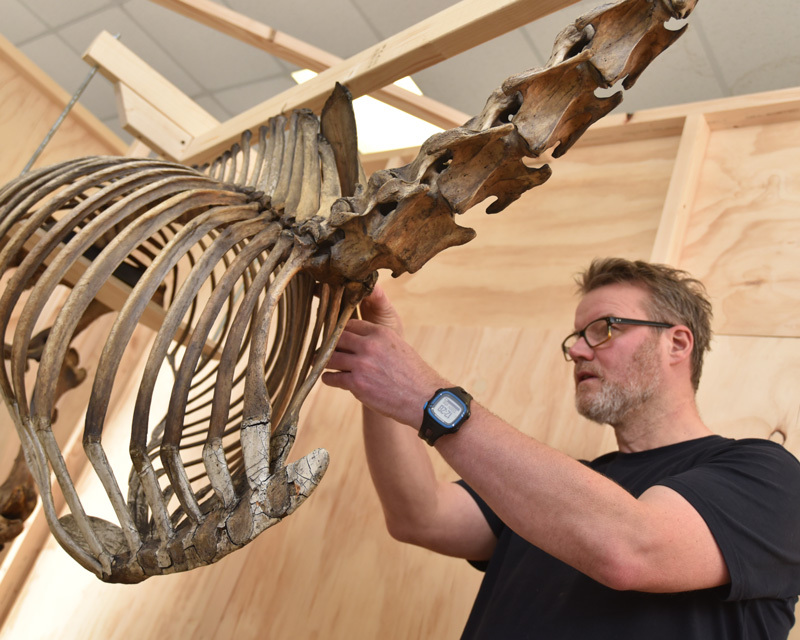 When the first stage of cleaning and conservation was complete, the team worked with prop modeller Derek Bell from Glueworks Studio to reposition the skeleton. Together, they built a new armature to better support Marengo in his new home. At the same time, his skull got a good cleaning to remove some of the grime that had built up over the years. You can see Marengo in his new position in Battle gallery. Explore the British experience of battle from the 1640s to the present day.